The year is 1855. The Crimean War is raging. The incompetence of British commanders causes the fall of the English government. The Empire teeters. Amid this crisis comes opium-eater Thomas De Quincey, one of the most notorious and brilliant personalities of Victorian England. Along with his irrepressible daughter, Emily, and their Scotland Yard companions, Ryan and Becker, De Quincey finds himself confronted by an adversary who threatens the heart of the nation. This killer targets members of the upper echelons of British society, leaving with each corpse the name of someone who previously attempted to kill Queen Victoria. The evidence indicates that the ultimate victim will be Victoria herself. 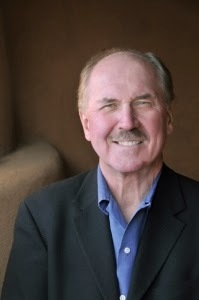 I was pretty excited about reading David Morrell's Inspector of the Dead. Books one of the Thomas De Quincey series, Murder As A Fine Art, was one of my favorite reads of 2013 and I was eager to dive into its sequel. Like its predecessor, I quickly fell for the feel and atmosphere of the Morrell's England. The dark and gritty descriptions, paired with Thomas and Emily's unconventional lifestyle make highly entertaining material and like how the backdrop emphasizes the more sinister elements of the mystery at the heart of the story. Morrell takes a couple of artistic liberties, but I found them highly appropriate to the story and actually liked the references to Wilkie Collins' The Moonstone. I also liked how Morrell used Queen Victoria and the numerous attempts on her life as a foundation for a much darker intrigue. 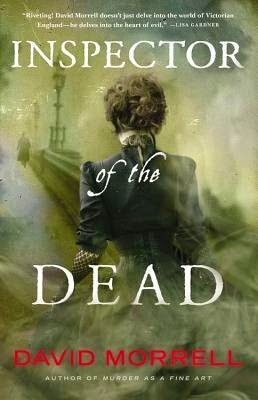 Genuinely thrilling and impossible to put down, Inspector of the Dead is an absolute must. A thoroughly satisfying read that kept me on the edge of my seat beginning to end. Despite the pretense that the Great Exhibition celebrated the brotherhood of nations, he had no doubt that Albert’s purpose was to emphasize the power of Great Britain. How the revenger seethed when people spoke glowingly about the Victorian age, a term that Albert had championed. The revenger fantasized about using the cover of night to sneak gunpowder into the Crystal Palace and blow it apart. But what point was there in destroying a building? It was people that he wanted to destroy: Victoria, Albert, and many others. Sent away for protection, hotel heiress Estella Everstone finds herself living undercover as a lady’s companion named Elle Stoneburner at one of her father’s opulent hotels in the mountains of Maine—the one she'd always loved best and always hoped to own one day, Everston. The one thing she doesn't like about the situation is that her ex-fiancé is in the area and is set on marrying someone else. Reeling from her feelings of being unwanted and unworthy, Estella reluctantly forms a friendship with the gruff manager of Everston, Dexter Blakeley, who seems to have something against wealthy young socialites with too much money, although they are just the kind of people Everston caters to. When Estella finds herself in need of help, Dexter comes to the rescue with an offer she can't refuse. She sees no other choice aside from going back home to her family and accepts the position as companion to his sister. Throughout her interactions with Dexter, she can't deny the pull that's evidenced between them every time he comes near. Estella realizes that while she's been hiding behind a false name and identity, she’s never been freer to be herself than when she's with Dexter Blakeley. But will he still love her when he finds out she's Estella Everstone? She's not entirely sure. 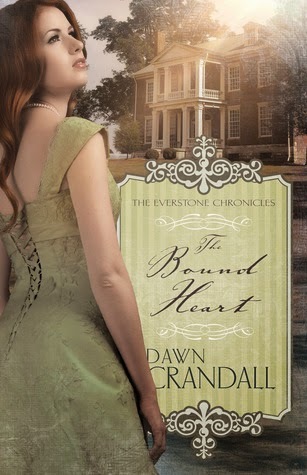 I was lucky to receive all three installments of Dawn Crandall's Everstone Chronicles in quick succession. 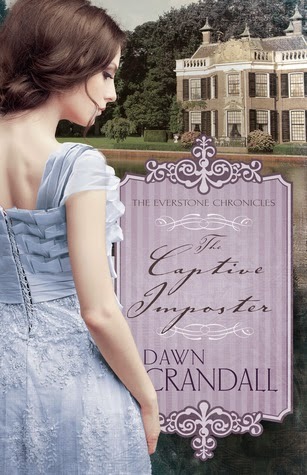 I read the first two books in early March and rounded out the series with The Captive Imposter, early in April. I admit fitting a series into my review schedule was tough, but I believe it enhanced my experience. As I said in my reviews of The Hesitant Heiress and The Bound Heart, the books are character heavy, but before I get too far ahead of myself, I want to make it clear that comment is not a criticism. I actually like how the earlier books established some of the relationships in The Captive Imposter and anchored it to the series. I also like how characters from those stories are referenced in the last installment. All I'm really saying here is that there are a lot people keep straight in these books and while that can be confusing for those reading the novels as standalones, it actually unifies the books quite nicely when approaching them as a series. As before, I appreciated how Crandall depicted her heroine's personal introspection and faith, but more importantly, I liked how she managed to do this without losing Estella's voice. It's the same approach, but Estella, Meredyth and Amaryllis are three very different women and I was impressed by Crandall's ability to retain a sense of individuality throughout each of the books. Of the three, I think I liked Estella's revelations the best and feel the message in her story incredibly relevant to modern audiences. Historically I might have liked more detail, but I found The Captive Imposter entertaining just the same. 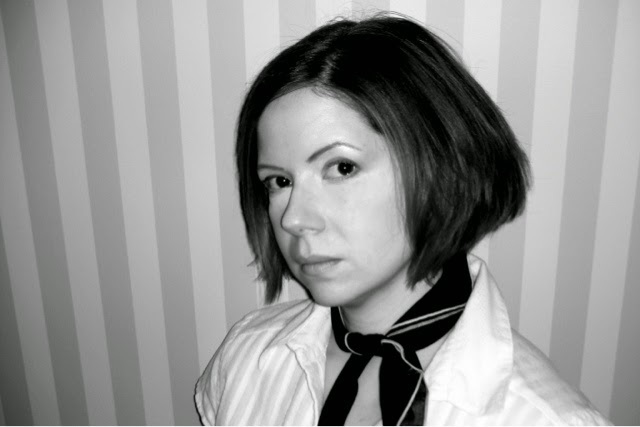 After being unjustly expelled from the Boston Conservatory of Music, Amaryllis Brigham sees her dreams of founding a music academy disappearing before her very eyes. Now the only way to achieve her goal comes with high stakes for someone set on avoiding men as much as possible: marry within the year to inherit her grandmother’s fortune. Amaryllis reluctantly takes part in her aunt’s society, intent on getting to the west coast on her own... and without a husband. Despite her own misgivings, she soon finds herself falling in love with the most unlikely of men, Nathan Everstone, whose father not only had a part in her expulsion, but whose ominous presence has haunted her dreams for a decade since her mother’s tragic death. Nathan turns out to be much more than he seems and everything she never knew she wanted. But just as everything Amaryllis has recently hoped for comes to fruition, it all falls apart when she finds that the real culprit who has been managing her life isn't who she thought at all. 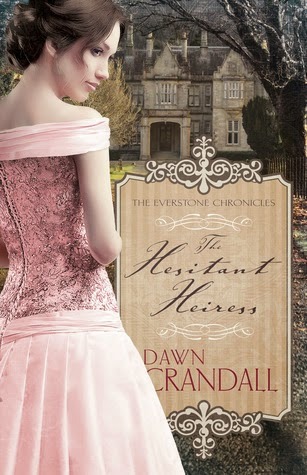 I'll be the first to admit I was uncertain about accepting Dawn Crandall's The Hesitant Heiress for review. 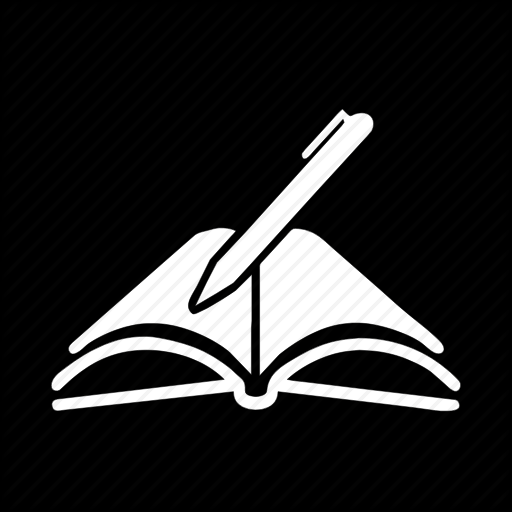 My record is hit and miss with Christian fiction and I tend to favor stories with darker material, but I pride myself on stepping out of my comfort zone from time to time and something about the Everstone Chronicles prompted me to take a chance. So what did I discover? Well to be brutally honest, I found something I'd not expected, an engaging and rather delightful story of conviction, personal introspection and light romance. Crandall rocked the first person narrative and I while I often found myself at odds with her characters, I can't deny my appreciation for the style and tone of her work. I liked the direction of the story and was impressed with the author's use of religion. Experience has taught me that many writers have difficulty finding balance between faith and fiction, but in this, Crandall proved an exception. Her use of religion makes sense in the framework of Amaryllis' story and never struck me as abrasive or heavy-handed. The story takes a while to get going and I wish it had been more focused on Amaryllis and Nathan, but I've few complaints over the time I spent with The Hesitant Heiress. Crandall brings a nice level of intrigue to the table and while I felt the ending predictable, I liked the twists and turns that transpired between points a and b. It's that time again! 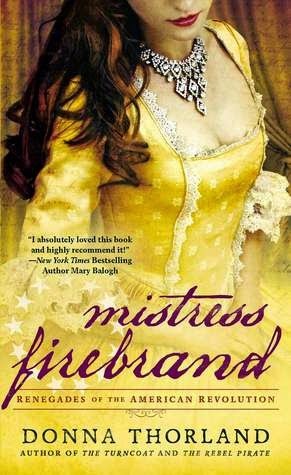 Flashlight Commentary and Historical Fiction Virtual Book Tours are pleased to offer fans of historic fiction a chance to win a free edition of Mistress Firebrand by Donna Thorland! In accordance with the promotional guidelines set forth by Historical Fiction Virtual Book Tours, this giveaway is open internationally.